Today’s main news: Auto loan delinquency rate hits 5.8%. RateSetter reaches 100M GBP in investor returns. Marcus may expand to Germany. OurCrowd surpasses $1B AUM. liwwa lends $11M to SMEs. Today’s main analysis: LendingTree among the 5 worst finance sector stocks, according to Nasdaq. Today’s thought-provoking articles: 3 ways technology shifts consumer approach to debt. New reporting rules pushes Funding Circle’s fund’s returns lower. SoFi CEO outlines growth in shareholder letter. Private equity’s plan to beat low-cost investing bots. Former Citi, Comcast execs raise $100 million on Fair Square credit cards. The two myths of online lending. AlphaPoint launches framework for blockchain real estate tokens. BorrowersFirst shuts down personal loans. Market guide for ID proofing and corroboration. How P2P financing could open up property market to millennials. Blockchain firms provide social good. New reporting rules push Funding Circle fund’s returns lower. Azbit ICO includes P2P lending backed by crypto portfolios. Lithuania central bank welcomes Chinese fintechs. Israel: OurCrowd surpasses $1 billion assets under management. Jordan: liwwa lends over $11 million to SMEs. Africa: Cellulant raises $47.5 million. But it’s the growth of new products at SoFi that will most likely attract the attention of investors, as the company tries to justify its $4.4 billionprivate market valuation. In the letter, Noto said the SoFi at Work program, which partners with companies to help their employees pay off student loans and other debt, expanded its funded loan volume by 118 percent from a year earlier. The program, used by over 700 businesses, was launched in September 2016, so the growth is coming off a small base from last year at this time. SoFi CEO Noto on 3 things his fintech company must do from CNBC. Borrowers in the U.S. are defaulting on subprime auto loans at a higher rate than during the financial crisis in 2008. 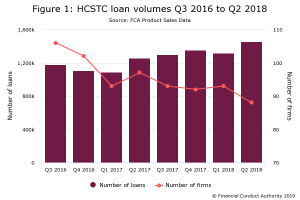 Data from Fitch Ratings shows that the delinquency rate for subprime auto loans more than 60 days past due reached the highest since 1996 at 5.8 percent. The default rate during the 2008 financial crisis was around 5 percent. Based in Charlotte, NC, LendingTree, Inc. TREE operates as an online loan marketplace for consumers seeking loans and other credit-based offerings. This Zacks Rank #5 stock has a VGM Score of D. Shares of the company have lost 18% so far this year. The 2018 earnings estimates have been revised 5.7% down over the last 30 days. The emergence of fintech and blockchain are making the loan experience streamlined and accessible to ordinary consumers, as well as to people who have issues with their credit score, businesses interested in alternative interest plans and people who are hesitant about taking loans from banks for whatever reason. P2P lenders pool together smaller amounts contributed by investors and lend the money out to consumers through digital platforms. Recently, P2P platforms like Lending Club and Prosper are making available loanable amounts of around $30,000 to $40,000 at competitive interest rates and with easier application processes. As of 2017, those aged 18-29 have an average score of just 652 which is lower than previous generations and has become an issue as they start settling down and are in need of loans for mortgages. Fintech and blockchain, however, are starting to minimize the overall impact of credit scores in an effort to bring more financial inclusion. They can include factors such as: salary, purchasing history, educational attainment, and even social media activity. The centralized approach of financial institutions controlling the people using their systems financial activities is also being challenged. Decentralization has been key to blockchain’s growing appeal. It’s possible to get up to $100,000 from SoFi. With Earnest, you’re limited to a maximum of $75,000. Because you can borrow more with SoFi, you also get access to longer loan terms — up to seven years. The longest term with an Earnest loan is five years. Finally, SoFi doesn’t have a minimum credit score requirement, while you need a score of at least 680 to qualify for a loan with Earnest. Even though Earnest has a minimum credit score of 680, the lender also takes into account your education, job history, and other data to help determine an interest rate. Private equity firms smell money in the financial advice business. Last month, Hellman & Friedman LLC paid $3 billion to buy Financial Engines Inc., an online retirement planning service. Thomas H. Lee Partners LP in October took a stake in HighTower, a Chicago-based wealth adviser with $50 billion under management at the time. And in April 2017, private equity giant KKR & Co. and Stone Point Capital LLC bought a majority share of Focus Financial Partners LLC in a deal that valued the wealth manager at $2 billion. Fair Square Financial LLC, the two-year-old, 50-worker Wilmington company that markets the Ollo credit card, says it has raised $100 million more from Orogen Group, the New York investment firm headed by former Citigroup CEO Vikram Pandit; Atairos Group, headed by former Comcast chief financial officer Michael Angelakis; and others. Fair Square, which has lent MasterCard holders about $400 million since early last year (using the Bank of Missouri’s lending powers), is one of a string of software-intensive lenders and financial service firms that have sprung up in Wilmington in recent years, capitalizing on the area’s concentration of credit card managers and workers. Of the many informative and innovative sessions powering the 2018 Benzinga Global Fintech Awards, none may be as important to the future of lending as the fireside chat between Cornelius Hurley, Executive Director at Online Lending Policy Institute, Colin Darke, General Counsel at Rocket Loans, and Jeremy Potter, Associate Counsel at Quicken Loans. Online lending is unregulated and is a shadow banking component. There is a nexus between payday lending and online lending. A longstanding real estate and private equity firm, Muirfield Investment Partners, has joined with AlphaPoint in an effort to offer its investors a more easily tradeable way to participate in the property market. The idea is to use blockchain as a conduit for introducing more liquidity into the real estate market. AlphaPoint’s plan is to see everything go on the blockchain. The actual asset won’t be on paper and tokenized, but that documentation will be stored using the tech. Further, it can use software to pay out dividends, if those are part of the deal, and to ensure that assets aren’t transferred to people they shouldn’t be. If you want to attract and retain millennials, it’s all about the benefits. And no perks are more sought after among this group than studen loan benefits. In this post, guest author Alyssa Schaefer, the chief marketing officer of Laurel Road, a national online lender, explains why employers can’t wait to roll out student loan benefits if they’re serious about hiring the best and brightest millennials. That’s why it’s so frustrating when the company you borrowed from sells your loan to another lender or stops servicing loans altogether. Unfortunately, if you have BorrowersFirst personal loans, that’s exactly the position you’re in. BorrowersFirst no longer offers personal loans or manages loans for people who borrowed from it in the past. Data breaches have led to rampant compromise of personally identifiable information (PII). As a result, correctly reciting PII is worthless as a stand-alone method of corroborating a person’s claimed identity. Onerous “identity proofing” methods for new-account opening and as part of step-up or multifactor authentication use cases increase customer abandonment. This creates a competitive liability when customer attrition and market share loss exceed the potential fraud loss. Many technologies used in online fraud detection use cases, such as device reputation, can be used in identity proofing and substantiation use cases. In addition, these technologies can be invoked to elevate trust during subsequent interactions. Peer-to-peer (P2P) lending has increased in popularity over recent decades, spurred on by the age of connectivity. Blockchain startups have been quick to recognize the benefits that the new technology can bring to P2P finance, directly connecting individuals who wish to exchange value without the need of any intermediaries such as banks. Now, one startup plans to use artificial intelligence (AI) and machine learning in combination with blockchain technology to create a P2P lending platform for home loans. This could prove to be an ideal solution for frustrated millennials, who may be more open to using new technology to achieve their property ownership goals. Possible social good applications include peer to peer lending, digital identities (ideal for refugees), protection against runaway inflation, campaign finance reform, direct democratic votes, solar energy trading and freedom of speech free from censorship. UK Peer-to-peer lending platform RateSetter has topped the milestone of returning £100 million in pre-tax interest payments to its investors. RateSetter reports accomplishing this without any individual investor losing a penny. THE Funding Circle SME Income Fund (FCIF) has reported its first drop in net asset value since 2016 after adopting new IFRS 9 reporting standards. The new accountancy standards mean funds have to include potential losses in their portfolio. The fund, which invests in loans originated by peer-to-peer lender Funding Circle, revealed its returns were down 0.6 per cent in April after allowing for a 1.1 per cent provision. This was the first drop in NAV since the fund’s first monthly update in November 2015 when it was down 0.1 per cent. The NAV had been consistently positive up until last month. As Marcus looks to launch a UK savings product soon the bank is already eyeing additional European markets; they plan to make Germany the next stop, though it might be looking at 2019 or beyond; Marcus is slowly becoming an important part of the overall Goldman strategy as they look to diversify; their consumer brand has a goal to boost Goldmans’ revenues by 5 percent in three years. Azbit, found online at Azbit.com, is an online trading platform that comes with built-in margin trading and algorithmic trading tools. A pre-ICO Azbit tokens begins on July 1, 2018. Azbit has an electronic payment system that will provide support and processing for all online and cryptocurrency payments, then offer additional services like instant exchange, a P2P debt platform, and P2P lending backed by your crypto portfolio. Lithuania invites Chinese companies and investors to take advantage of a friendly and flexible FinTech environment in the country which offers broad development possibilities, chairman of the Board of the Bank of Lithuania, said on Tuesday ahead of his trip to Beijing. It is estimated that by 2024 the annual growth of the global peer-to-peer lending market will amount to almost 50 percent in the country. Equity crowdfunding platform OurCrowd recently reached a major milestone. The Israel-based company has surpassed $1 billion in assets under management. OurCrowd is currently backing 150 startups across the globe and has previously helped 20 startups successfully exit from funding since its launch in 2013. One of OurCrowd’s most notable investments is Hyperloop, which it backed before Virgin Group invested in the company last year. liwwa, an Amman-based fintech startup and a peer-to-peer lending platform, announced the issuance of over $11 million in debt to small businesses across more than 300 loans since its inception. Cellulant, a Nairobi & Lagos–based digital payments provider, raised $47.5M in Series C funding. The round was led by TPG Growth’s The Rise Fund, with participation from Endeavor Catalyst, Satya Capital, Velocity Capital & Progression Africa. Led by Ken Njoroge, co-founder and Group CEO, and Bolaji Akinboro, co-founder and CEO, Cellulant Nigeria, Cellulant provides a digital payments platform that delivers connected, flexible payment options for consumers and businesses, and works with financial institutions, governments and mobile network operators to increase transparency and expand their reach in Africa.